Naomi Tetherly completed her MA in school administration at the American International College in 2013. She previously served as special education director at the Robert M. Hughes Academy Charter Public School. In March 2018, Naomi Tetherly went on a 12-day vacation to Israel, where she visited Nazareth Village. Nazareth Village, located in the hills 12 miles southwest of the Sea of Galilee, dates back to the time of Jesus. The village has been explored via extensive archaeological excavations, which have found a wine press that dates to more than 2,000 years ago. It includes the remains of a vineyard, terraces, a spring-fed irrigation system, stone quarries, watchtowers, and old olive trees. 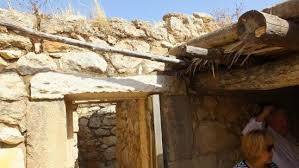 Nazareth Village provides tour services, ranging between 45 and 90 minutes. During the tour, guides lead visitors in languages such as English, French, Italian, Arabic, Russian, German, Hebrew and Finnish. Visitors can choose from three different programs that include the Parable Walking Tour, biblical meals and school and education tours. In the Parable Walking Tour, a guide describes Galilean life during the first century. The re-enactment includes villagers dressed in first-century costumes, who perform everyday activities such as working in an olive press and on the farm. Visitors are able to see the village’s grape vines, olive trees, and cultivated terraces. The average tour lasts 75 minutes. To learn more about first-century cuisine, visitors are welcome to try Nazareth Village’s biblical meals. The Martha meal includes a helping of fresh bread, za’atar and hummus. A traditional first-century meal includes lentil stew, salads, bread and dips. Visitors also can try the traditional meal with chicken, a Passover meal, or the festive Prodigal Son meal. A teacher at East Longmeadow Public Schools, Naomi Tetherly is licensed to serve as vice-principal/principal elementary (Pre-K-6) in the state of Massachusetts. Naomi Tetherly enriches her knowledge through world travels and recently visited the Church of the Holy Sepulchre in Jerusalem, Israel. 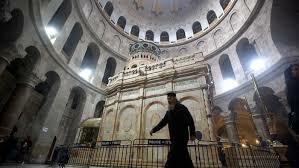 The Church of the Holy Sepulchre is situated at Golgotha, a hill in the Old City. The church complex encompasses the site of the crucifixion, burial, and resurrection of Jesus Christ and is considered the holiest of Christian shrines. As early Christians revered the site, the Roman emperor Hadrian established a temple covering the site in honor of the pagan goddess Aphrodite. When Christian Roman emperor Constantine I came to power he replaced the temple, sometime around 320, with a Basilica. The church underwent destruction and rebuilding under the various forces that controlled Jerusalem over the centuries, including the different Crusades that were fought to gain control of the Holy Land. As a result, the vast church complex is made up of over 30 astonishing chapels and worship locations from various denominations of the Christian faith. Different parts of the church are owned by the Catholic, the Armenian Orthodox, and the Greek Orthodox churches, and two Muslim families hold the key that open and close the church. As a mixture of various architectural influences and as a place of worship, it is a must see site while in Jerusalem.